Working in teams has been shown to improve organizational effectiveness and increase employee engagement and motivation. But what makes a team successful and how do you, as a leader, build those teams? In health care, a good team means all members understand, believe in and work towards the shared purpose of caring and working for patients, whether as a clinician or non-clinician. Because strong teams do not develop and evolve by themselves, leadership is crucial to their success. In this webinar we will talk about some core team characteristics and how all teams move through different stages of development. Teams are at their most productive where there is openness and trust, with members working to their own strengths. But how do they get there? Kristina Natt och Dag has a PhD in Educational Research and Policy Analysis from North Carolina State University. A native Swede, she has a Master in Human Rights from Lund’s University in Lund, Sweden. She has been working in the field of training and organizational development in the corporate as well as the non-profit sector for the past two decades. She has served as an Adjunct Assistant Professor at the George Washington University and has been affiliated with the Executive Education at Poole School of Management at North Carolina State University. She is a scholar-practitioner member of the Academy of Human Resource Development (AHRD) and is also Chair of the Leadership SIG. Dr. Mattson has almost ten years of experience with using data, systems and policy approaches in North Carolina in collaboration with multiple key state and non-profit health care agencies and individuals to optimize women’s and children’s physical, mental and social well-being. Currently she works in the North Carolina Title V agency within the North Carolina Division of Public Health to provide medical consultation, public health guidance and leadership. Dr. Mattson has worked to build valuable linkages among public health staff with multiple women’s and children’s health champions across the state. She has also assisted with program and policy development, implementation, and evaluation of multiple statewide, regional and local public health efforts, programs, and data for the Children and Youth Branch and in the Women’s and Children’s Health Section. Dr. Mattson has completed a pediatric internship and residency and an MSPH in Maternal and Child Health at the University of North Carolina. She has over fifteen years of experience in practicing pediatrics in a variety of culturally diverse health care settings that serve our most vulnerable and disadvantaged populations as well as serving in the US Public Health Service as a member of the active and the inactive reserve. Dr. Mattson continues to practice part time in a public health department. After you register, you will receive an emailed confirmation with webinar and phone-in instructions. 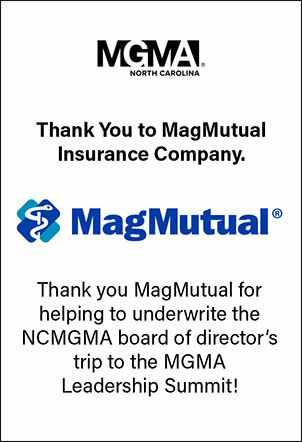 If you have any questions, please contact the North Carolina Medical Society Foundation at (919) 833-3836.